How about a "little" Chatterbox/Fabulous !!! This is such a fun set. The journal box is made out of the packaging the chip board word stickers came in. Just a little "green" fun!! I re-cycle when it is so cute!! 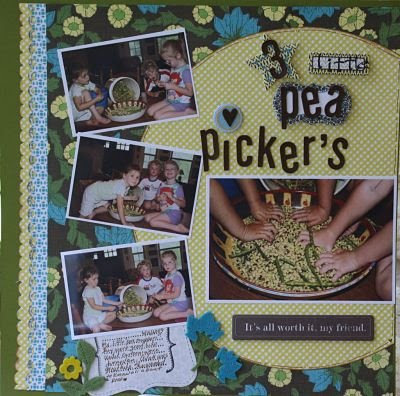 The "3 little Pea Pickers" turned out so cute and the CB Fabulous paper was just that "Fabulous" with these pic's. 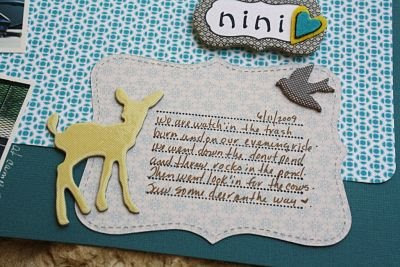 I used the stitched felt embellishments along with the stickers and word chip board stickers for a great look. Ease on over to AC Bailey and take a look in the e-store. 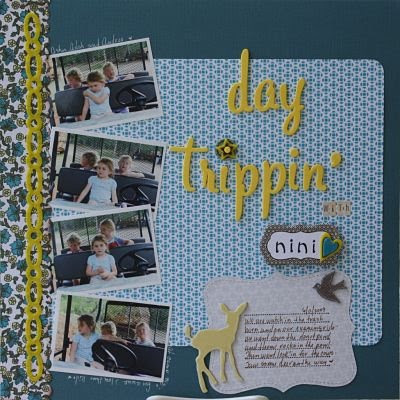 Lots of fun and fabulous stuff!! Thanks for stopping by. Have a great day.